This is actually a picture I took right before we had the windows replaced. Someone whose name rhymes with Pearl forgot to take before pictures of the old light and numbers. But I digress, in the above picture you can see that the old porch light was an odd shape ,the picture doesn’t show quite how nasty this light really was. It was cracked and stained with years worth of dirt that wouldn’t come off even with lots of elbow grease. 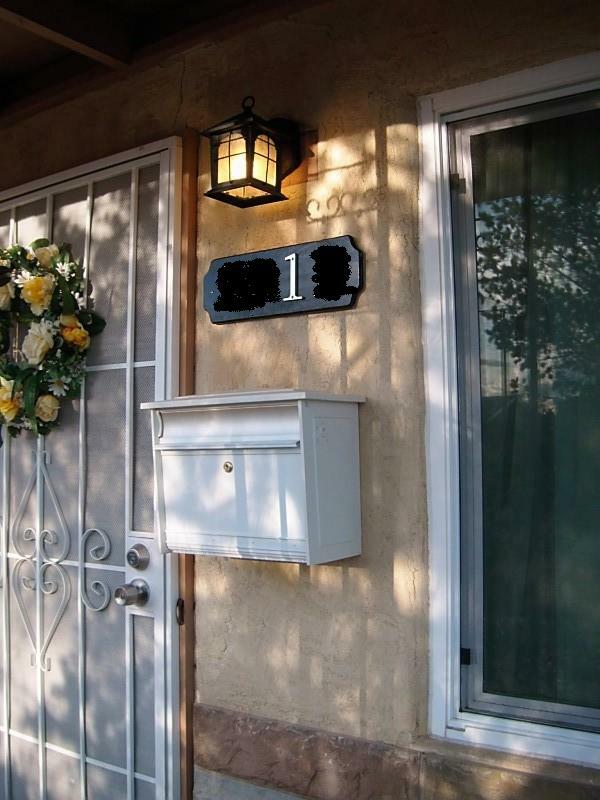 And you can see the ugly color the house numbers were painted, even though I blurred them out a bit. The numbers themselves were pretty beat up too. So, it was time for some updating. In the above picture you will see that we chose a pretty shaped wooden background for the letters. 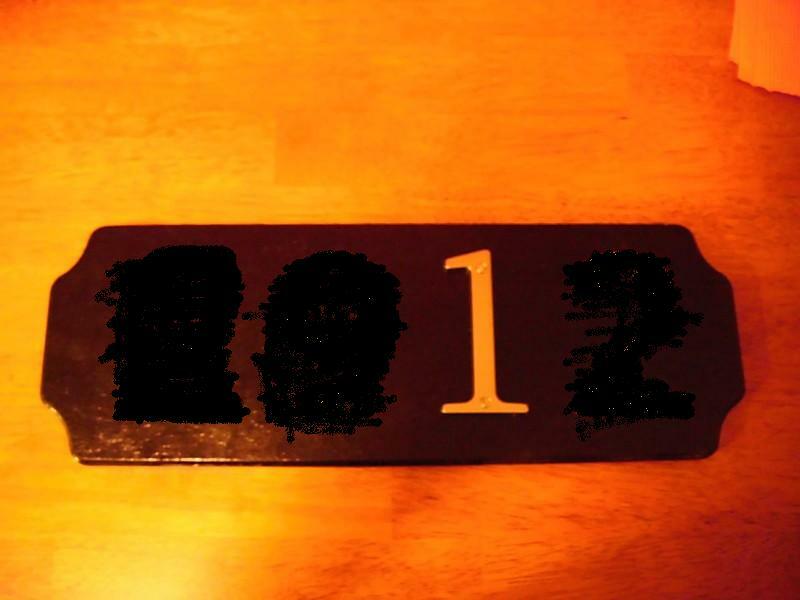 I spray painted it with black lacquer paint, so it would have some shine to it and match the numbers better. Which brings me to the numbers, for those I ended up with a brushed nickel finish. I blurred out the other numbers for privacy sake, but left one of them so that you could get a better idea of the overall look. 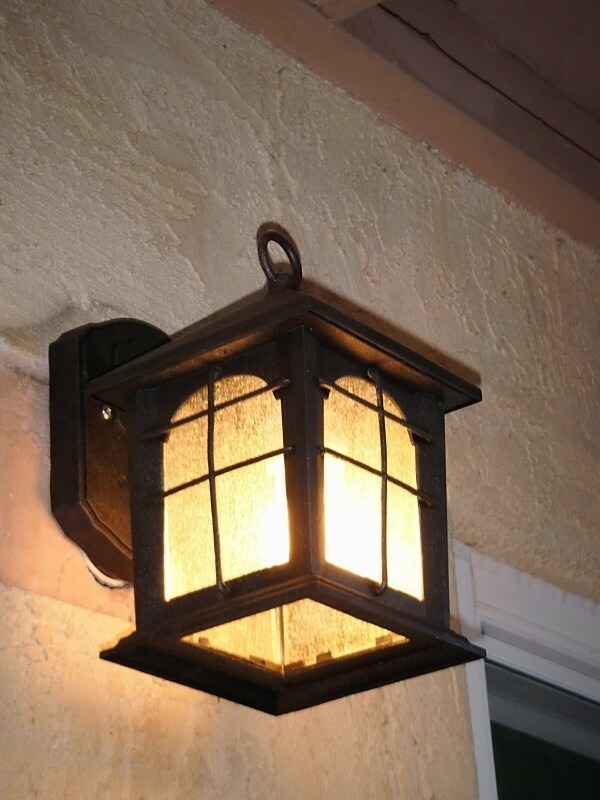 And the porch light, which I love. 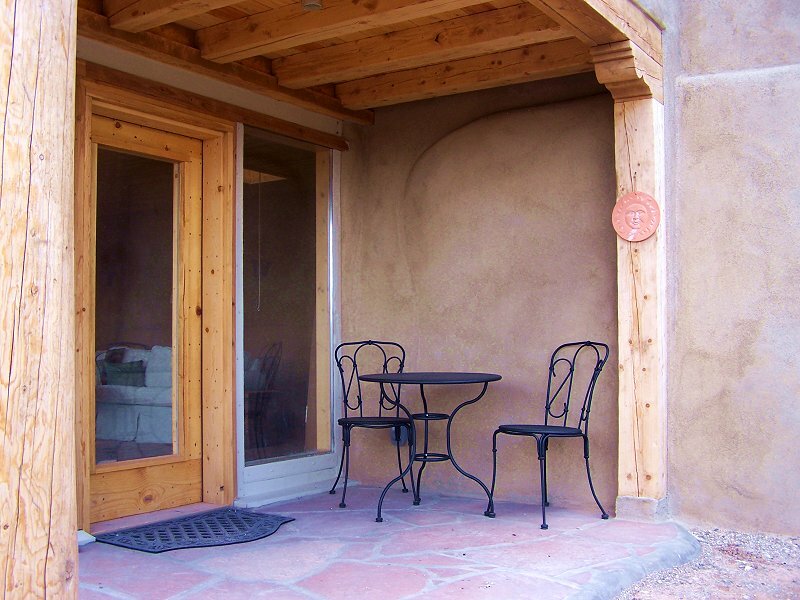 It’s not too big or too small for our little casa. And it’s so much brighter than the old light. There are so many mini and not so mini projects around the casa that are either in progress or need to be done it’s overwhelming. It could drive a girl to eat an entire carton of Pecan Praline ice cream! 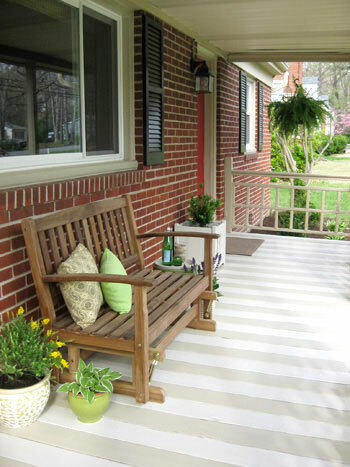 But instead I’ll leave you with some pretty pictures of porches.